For the fourth year now the EFPT Sailor of the Year has been elected. 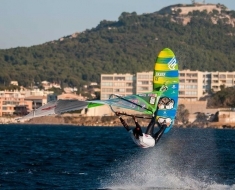 After a selection of European Freestyle Pro Tour riders done by the EFPT crew eight freestyle windsurfers made it into the public voting that has been online on efpt.net. You can read more about the eight nominees here. After the first week it looked like EFPT Champion 2015 Amado Vrieswijk (Severne/JP) would win the race, yet the Bonairean couldn’t expect the huge followership of Adrien Bosson (North/Fanatic) and Sarah-Quita Offringa (Starboard/Neilpryde) once they promoted the voting via their social media channels and beyond. It has been very tight until the end but the Frenchie could make it to first place in front of Sarah-Quita and Amado Vrieswijk and is therefor the EFPT Sailor of the Year 2015. 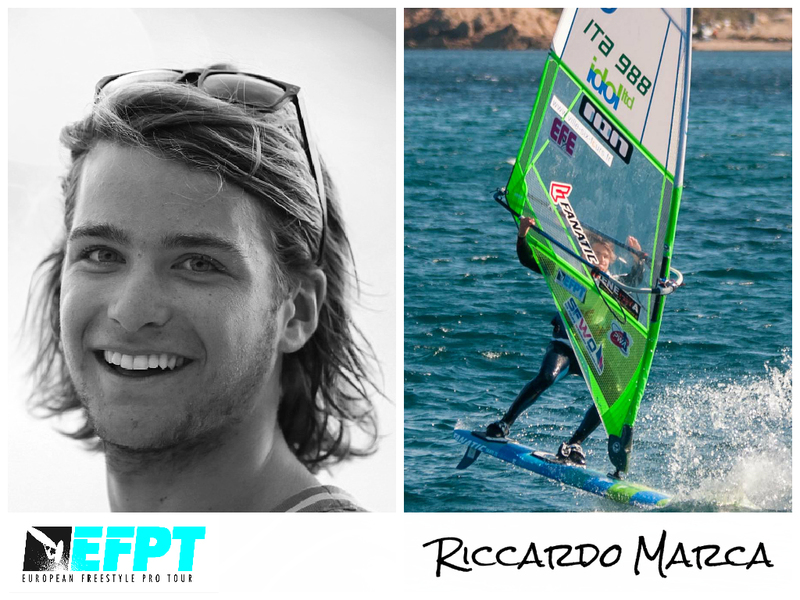 The rookie of the year is chosen every year by the EFPT crew and is the exceptional young sailor from Italy: Riccardo Marca (North/Fanatic). 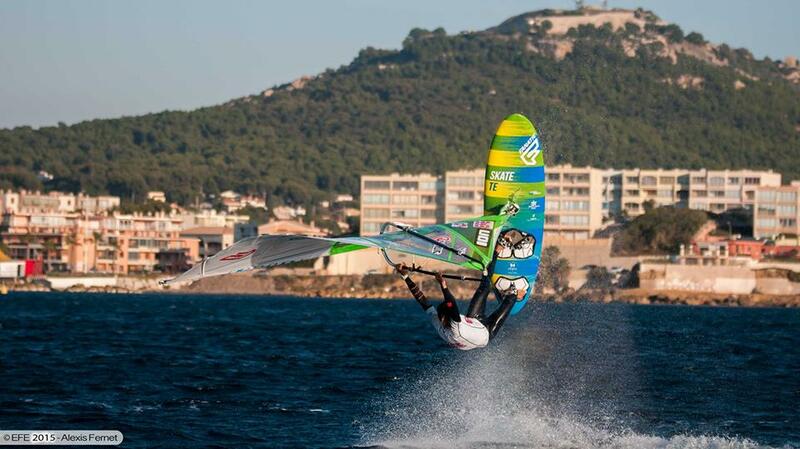 Riccardo was competing in the EFE of 2014, yet had no official result due to the lack of wind at the event. This year he finished in 12th overall with only attending three events and therfor is the EFPT Rookie of the Year 2015. We exchanged some words with both sailors and congratulated them to their last season. 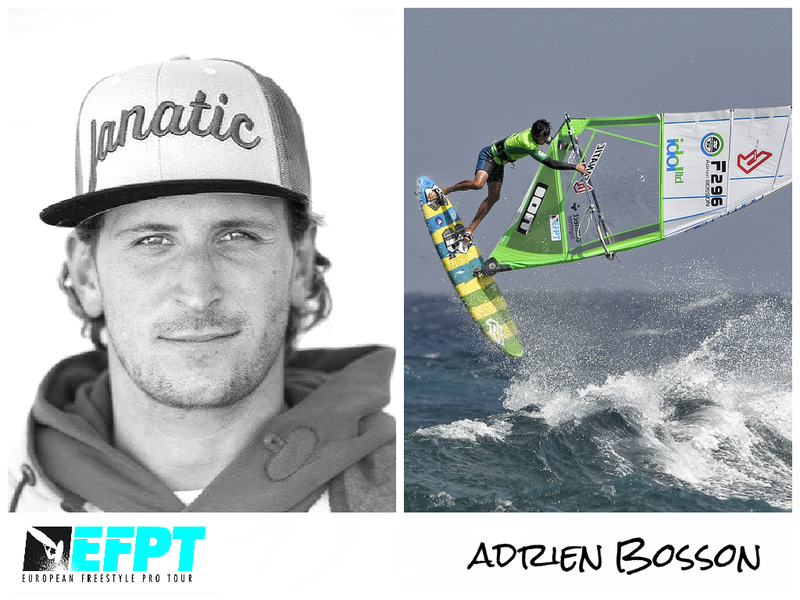 EFPT: Adrien, congratulations for winning the EFPT sailor of the year title for 2015! You and Sarah-Quite Offringa (Neilpryde/Starboard) where having quite a battle online, both getting thousands of clicks. How important is it to you to know that you have this kind of online support? Adrien: Of course it was a close battle with Sarah until the end of the vote and I have to say that it was quite interesting to see how it developed. Sarah had thousands of votes in a really short period and I thought that I would never come back to the first place! THANKS to my sponsors ‘Connect Together’ who helped so much to get the victory with a special thanks to Marc Duthoit & Michael Webb! I was actualy really surprise that so many people (followers, sponsors, friends, family) support me like this for the EFPT Sailor of Year, so many people told me about that and it was crazy. So yes in the end, it feels really good that so many people support me and I’m so grateful to be the Sailor of the Year! THANKS! EFPT: You are in the top 15 of the world tour and made it to third place overall in the EFPT 2015. Where does your journey in this sport go? How will you challenge yourself in the upcoming seasons? Adrien: I just came back from an intense training in Brazil, Jericoacoara. It wasn’t windy at all in the South of France (and cold), so I decided to book a flight to a warm and windy place. There my days are pretty simple as I’m sailing as much as I can and enjoy the conditions. When I’m at home it is a little bit different as I’m working at my surfschool ( www.lacahute.com ). 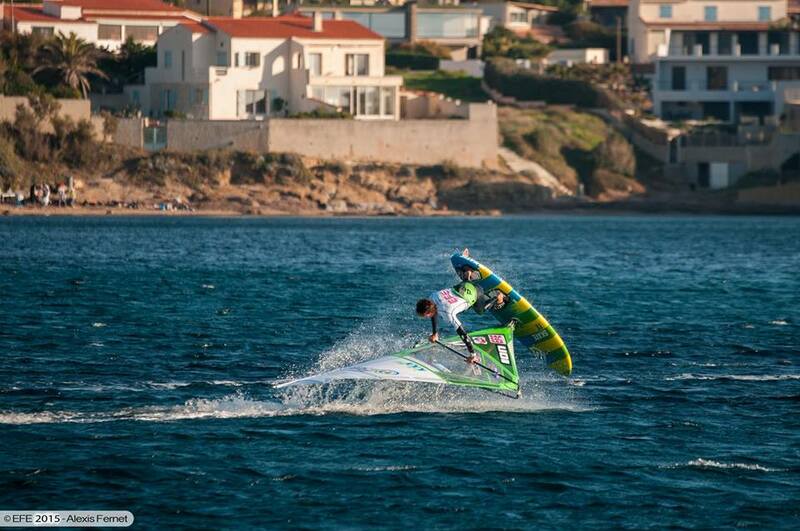 I can windsurf between work and do some functional training with my coach Sylvain. 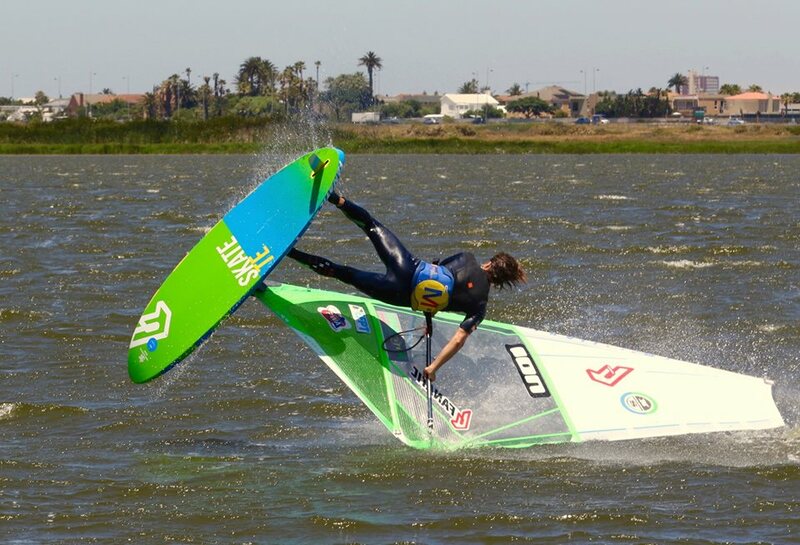 But no worries I always find time to windsurf! 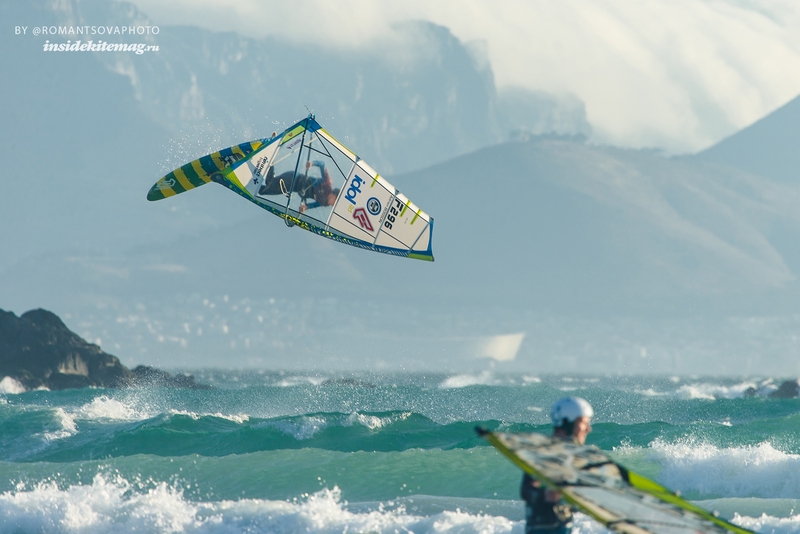 In 2016 I will be competing on all the PWA freestyle & EFPT events and will enter some international & national wave contests. 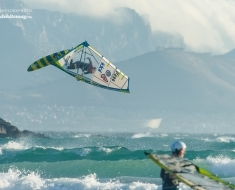 EFPT: What is your favorite place to windsurf and why? Adrien: My next trip will be to Capetown in January and February. 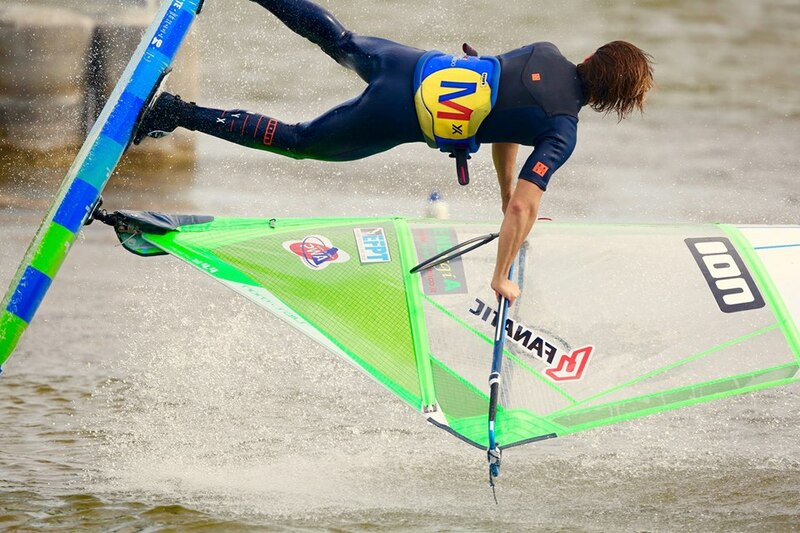 It is probably my favorite place to windsurf and I’m going there every winter for three years already. 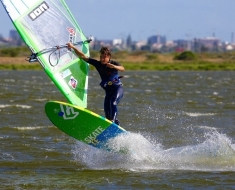 The place is amazing and really perfect for windsurfers. You can easily mix freestyle and waves in the same day. I like both disciplines so Capetown is ideal for me. 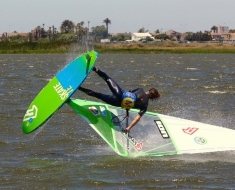 EFPT: What is your biggest inspiration in windsurfing? Adrien: I grew up and started to love windsufing watching Jason Polakow and Robby Naish movies. I remember a Robert Master film named ‘Heart and Soul’ – I probably saw it a hundred times haha! 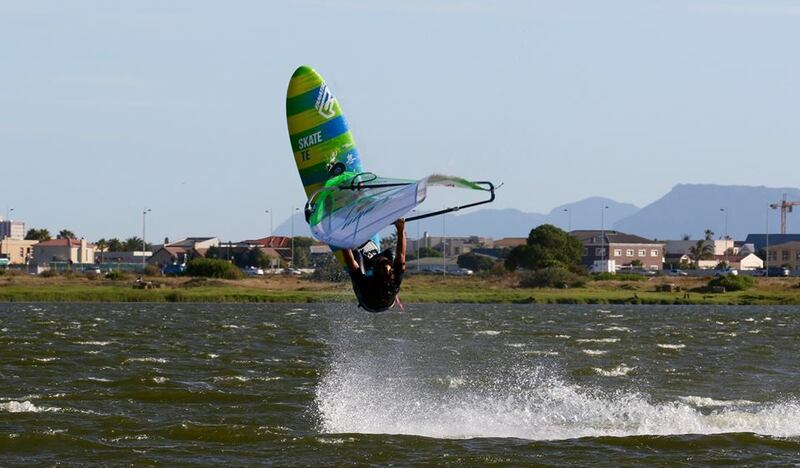 Now I love the feeling of being on a windsurfboard holding the sail, the speed, the board under your feet, jumping, pushing yourself – it’s pure freedom! EFPT: What are your plans for 2016? Adrien: Capetown for January/February, then back to Six-Fours to prepare the season at the center. I will take part in the indoor in Paris and I’m really looking forward to this event, it’s gonna be awesome! After that I’ll go to Maui for the annual Fanatic/North sails photoshooting and will start straight into the competition season! EFPT: Riccardo, you actually entered the EFPT in 2014 for the first time, yet didn’t have an official result as there was no wind at the EFE 2014. In 2015 you have been to three EFPT stops and showed your whole potential by ending up in an excellent 12th place overall for this season. Did you enjoy competing and how was this year for you? Riccardo: I’m really happy about my first year in the EFPT. I couldn’t follow the whole tour because I finished my studies and I’ve been busy with exams. I managed to go to Croatia, where I’ve got a tie 1st place, then to Brouwersdam and France, where I had my best result so far in the European tour finishing with a 9th place. I’m really happy about my results but I’m already training and looking forward to do even better next year. EFPT: What are your goals on the European Tour in 2016? Riccardo: The next year I’ll follow the whole tour. I’ll spend four mouth in Capetown during this winter to train as much as possible. My goal for the next year is to finish in the EFPT top 10. I will do the best I can to achieve that! I think that doing the best that you can do is already enough to be happy, but this is something not so easy. I’m always working hard to reach the goals I set for myself and failing will always make me a bit sad. 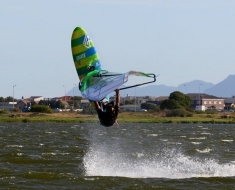 Riccardo:My dream is to become a professional windsurfer. I still have to work a lot for this but one of the biggest inspirations I have is Steven Van Broeckhoven (JP/Neilryde) because of his professionalism. 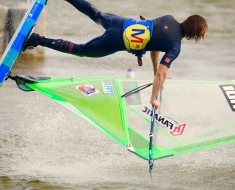 He’s one of the only real athletes in freestyle windsurfing and I really admire him for this. EFPT: You are with North Sails and Fanatic for several seasons now. What is your favorite set-up? 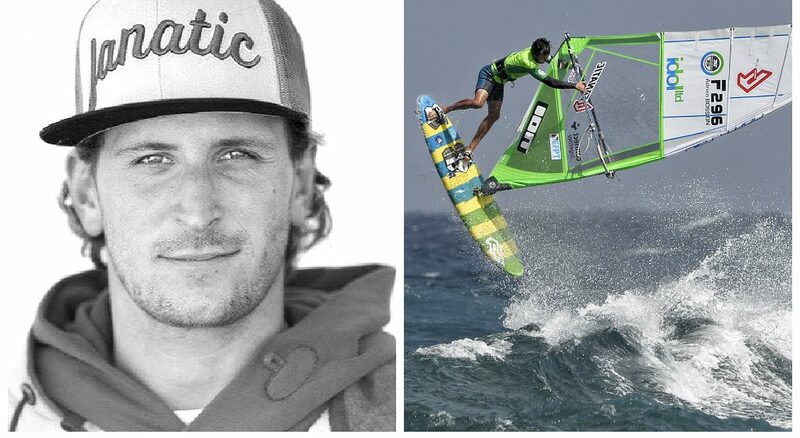 Riccardo:Fanatic and North Sails has always been my dream sponsors! I really like both of the brands. The set up that I prefer is my 94 lt Skate and my 4.8 Idol ltd.
EFPT: What are your new years resolutions? Riccardo: To keep following what I love doing and trying to make my dream come true.